1. Trainer; Design, Installation and Maintenance of Solar PV Systems, 2014. 1.Effah, E. and Owusu, K. B. 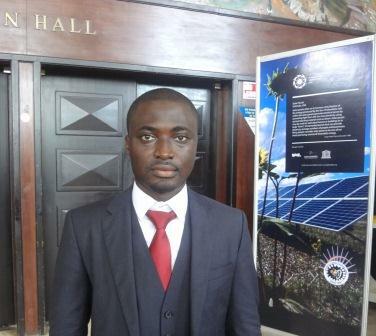 (2014), “Evolution and Efficiencies of Energy Metering Technologies in Ghana”, Global Journal of Engineering: F, Vol. 14 Issue 6 Version 1.0 pp.35-42. 2. Effah, E., Amuzuvi, C. K. and Owusu, K. B. (2014), " Examining the Effectiveness of Electricity Billing System against the Mobile Phone Billing System in Active Mining Rural Communities in the Western Region of Ghana", Global Journal of Researches in Engineering: F, Vol. 14 Issue 5 Version 1.0 pp. 30-44. Copyright © Kingsley Bediako Owusu. All rights reserved.